Hi! 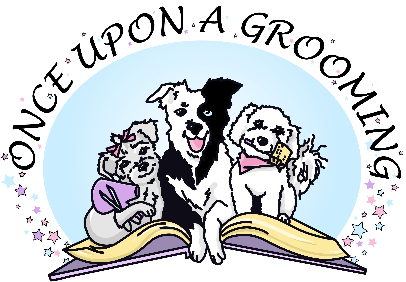 My name is Elizabeth and I am owner, creator and groomer at Once Upon A Grooming. My passion for animals began at a very young age. I got my first dog from Kay’s animal shelter when I was four. I named her Shadow after the golden retriever from Homeward Bound. My love of animals could also be seen in my extensive stuffed animal collection. Shadow lived to be 16 1/2 years old and after her I got Missy. She is a great pyrenees and weighs about 85 lbs. She loves to lay around all day and is a big fan of the snow! In 2009, I decided to make my love of animals into a career. I attended the Academy of Dog Grooming Arts in Arlington Heights, IL. While there I learned the in and outs of the grooming field. After graduating from school with a grooming degree I got a job at a grooming shop in Palatine, IL where I worked as a manager and full time groomer for three years. In spring of 2013, I became a registered member of the National Dog Groomers of America Association. I went through extensive testing to become a Certified Non-Sporting Breed Groomer. I continue to work to someday become a Certified Master Groomer. I continue my education by attending trade shows and seminars. My favorite part of grooming is making your pet look their best and adding special finishing touches. 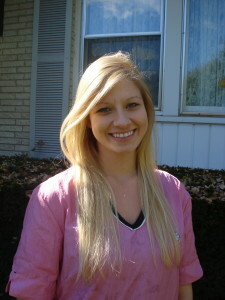 I look forward to growing as a owner and groomer.